Want to see all of the treatments we offer? Bella Fina Medi Spa specializes in rejuvenating and enhancing an individual's unique beauty through injectable and laser-based treatments. ​Our board-certified physicians at Bella Fina Medi Spa are here to help you achieve your cosmetic goal without the need of surgery. We Believe you should always ​look and feel your best! Laser Hair Removal works by safely delivering a beam of highly concentrated light to your hair follicle. This procedure damages the hair shaft with heat and prevents re-growth. Just about any area can be treated! 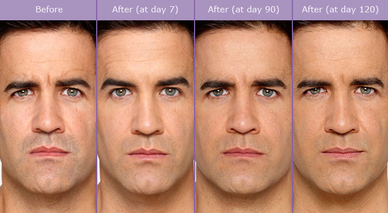 View more Juvederm and Botox photos. For extreme-savings on our treatments! A spotlight on Botox Cosmetic with Dr. Patricia Barsanti! Register for Brilliant Distinctions to earn FREE Botox & Juvederm! FREE consultations always available. ​​Call 908-755-8400! Join our Newsletter to receive monthly specials and promotions! Our Medical Spa is Located in Warren, NJ. Come in and check out our new office!